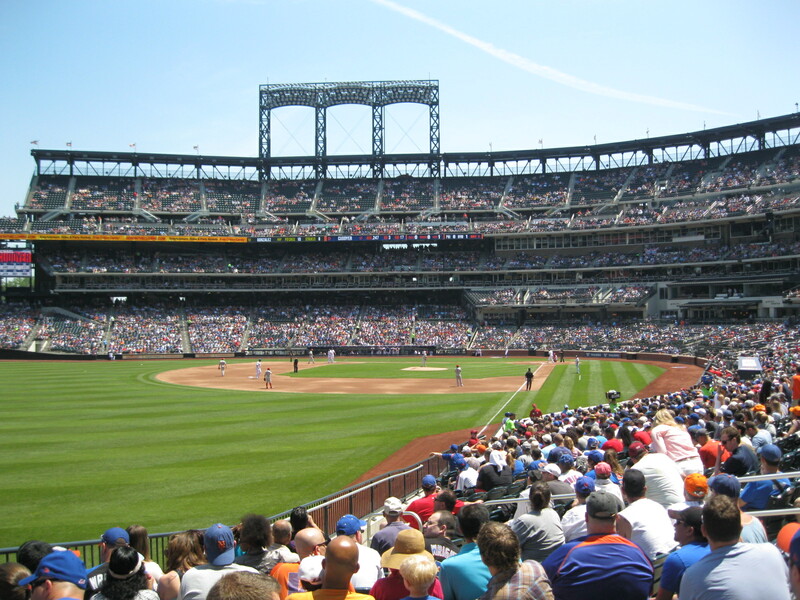 I spent yesterday afternoon watching the Phillies lose to the Mets at Citi Field. It was my first time to that ballpark, and there’s a lot to recommend it: easy subway access, a great seat for a reasonable price (thanks to Groupon), well-behaved fans, Nathan’s hot dogs, the occasional roar of a plane soaring overhead as it takes off from LaGuardia, orange-and-blue sprinkles on Mister Softee ice cream, Mr. Met (not as good as the Phanatic, of course, because no mascot can be as good as the Phanatic, but an acceptable substitute), and—yesterday, at least—the perfect mixture of sun and breeze. If only the Phillies had, you know … won. Can’t have everything, I suppose. I was hoping that you were rooting for the Mets—as the Phillies went down the tubes! But, at least for the moment, we’re not in last place anymore. Oh, and who’s the guy???? ?